A flock of peacocks dancing together with rain cascading around is always a mesmerizing sight, isn’t it?! One can come rather close to duplicating this image by decorating this bunch of birds together in the garden or outdoors. 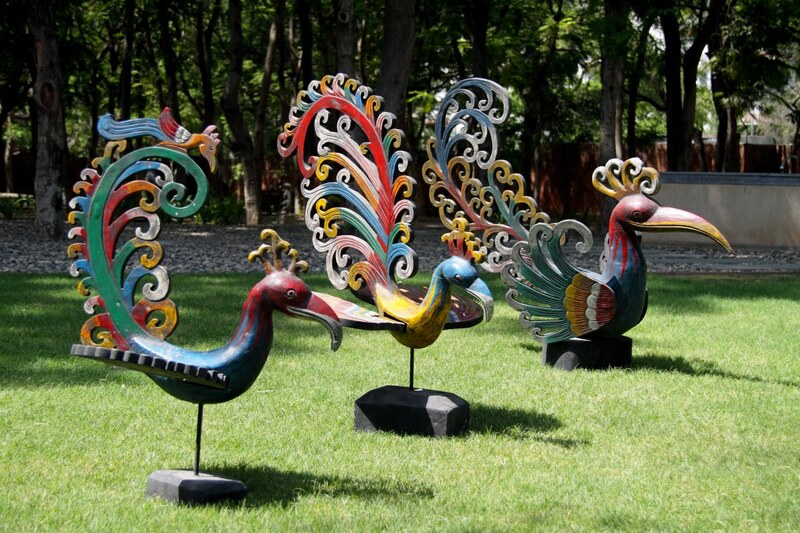 Carved to beauty in the islands of Bali, these antique wooden statues will assuredly create a stunningly different artistic vibe today’s urban city homes.